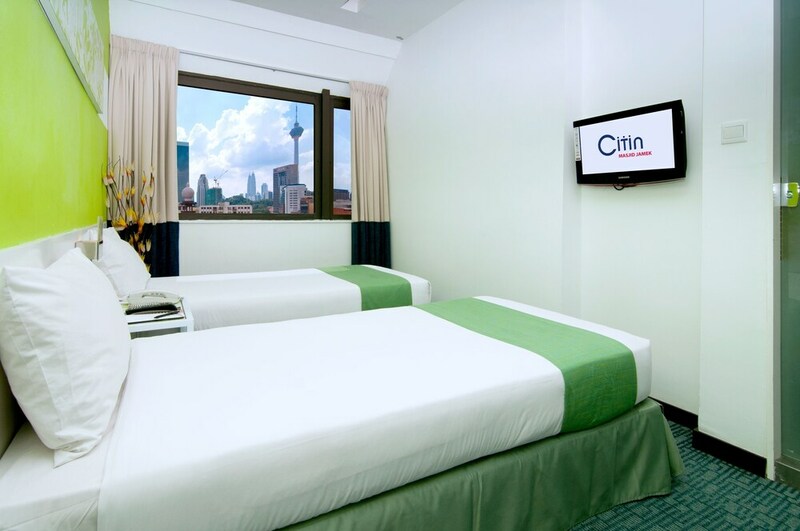 Located in Golden Triangle, this hotel is within a 10-minute walk of Masjid India, Merdeka Square, and Jamek Mosque. SOGO and Central Market are also within 10 minutes. Kuala Lumpur Masjid Jamek Station is only a 5-minute walk and Bandaraya Station is 7 minutes. This hotel features a restaurant, a coffee shop/café, and dry cleaning. WiFi in public areas is free. Other amenities include laundry facilities, a 24-hour front desk, and multilingual staff. All 138 individually decorated rooms feature free WiFi and room service. LCD TVs come with satellite channels, and other amenities that guests will find include laptop-compatible safes and showers. The hotel offers a restaurant and a coffee shop/café. Wireless Internet access is complimentary. This business-friendly hotel also offers multilingual staff, laundry facilities, and dry cleaning/laundry services. Citin Cafe - This restaurant serves breakfast, lunch, and dinner. Open daily. Rollaway/extra beds are available for MYR 70.0 per day.